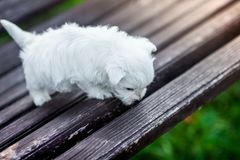 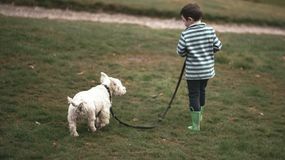 A small boy walks a Westie through a park Little white dog West highland white terrier in the park Puppies west highland white terrier westie dog on a wooden bench outdoors in park Cute adorable rough haired white little dog sitting outdoors on summer time with green grass and city building background. 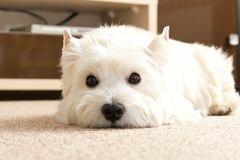 White a West highland white Terrier lies at home on the carpet. 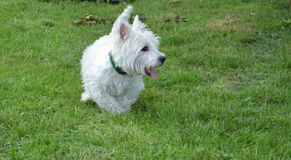 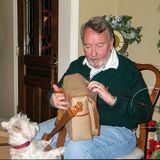 Best fri Westie dog helping Man unwrap briefcase for Christmas West highland white terrier with a toy Beautiful West Highland White Terrier Dog Lying On Rebedul Meadows In Lugo. 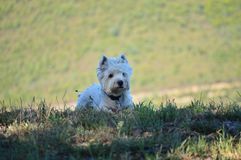 Animals Landscapes Nature.